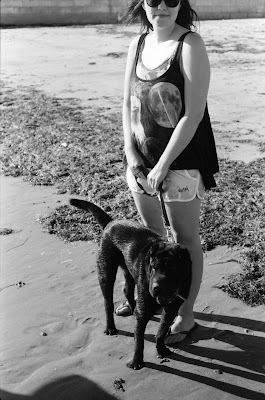 My brother posted these pictures of me and my boy Angus, on his blog, and so I thought he wouldn't mind if I stole them! 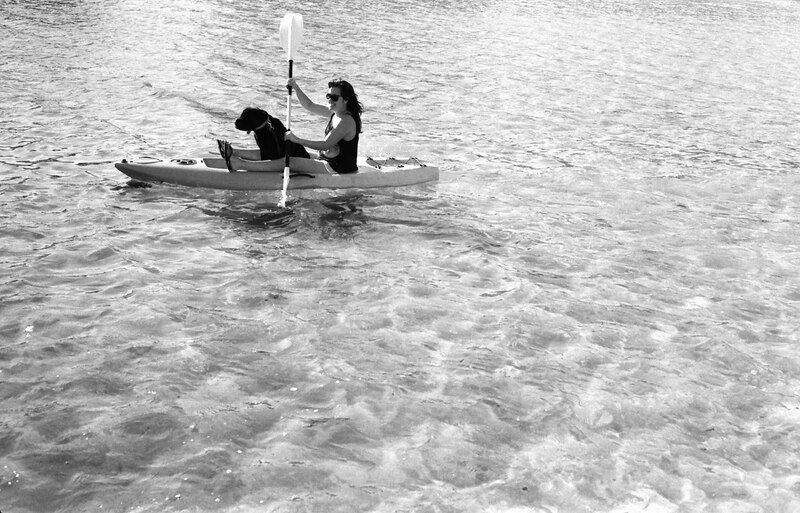 I have taken Angus kayaking a few times now, and each time he seems to get a little bit more relaxed, at first when we went out as soon as I turned to face the shore, he would jump out and swim back to land. I think now he has realised that swimming is unnecessary and just has been enjoying the ride. He is very, very interested in what is under the water, but not interested enough to jump in after them. I would love to go out with him when there are dolphins around, I am not sure what he would do!